In 1890’s South Dakota, Amy and Joshua escape from their mean Aunt Vootch. They plan to find their grandparents in New York and manage to team up with a traveling magician, Mortimer Wintergreen, who is also New York bound. 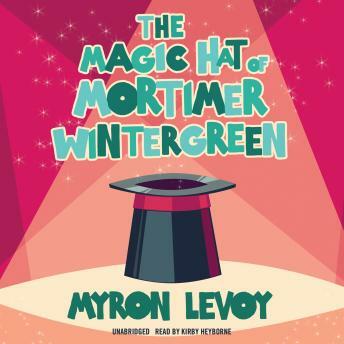 Mortimer owns a truly magic hat with a temperamental, mischievous mind of its own. Adventures abound as their way is blocked by outlaws, runaway hot-air balloons, geese, and the persistent Aunt Vootch—but the hat is always ready for action.